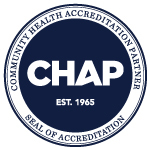 Community Health Professionals, Inc. delivers a complete range of home health, hospice and related services, including skilled nursing, in-home and inpatient hospice, in-home therapy, private duty and adult day services. Services are availabe 24-hours a day, seven days a week. We offer a complete range of home health care services; whether it’s to recuperate after surgery, recovery from an illness, therapy services to regain strength after an injury or management of a chronic condition like diabetes or heart disease. Our trusted team of providers help you heal at home. We provide specialized care for anyone with a limited life expectancy, regardless of illness or age. Hospice care is available in your home or at one of our inpatient facilities. In-home care services that can help prolong an aging person’s ability to live independently and safely in their home. From help with meals and personal care and errands, Private Duty is nonmedical home care that enhances our clients’ quality of life. CHP Adult Day Care Centers create a vibrant and social community for senior and disabled loved ones to enjoy their day while receiving the care and support they need. We provide care at convenient centers in Archbold, Celina and Van Wert. 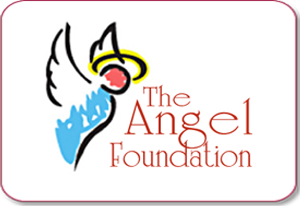 We strive to assist and support our clients in multiple aspects of their care and recovery, including providing access and referrals to related services such as Early Head Start, WIC and the Angel Foundation. Volunteers are an integral part of our agency, filling roles that may include direct contact with patients to providing clerical and fundraising support for the organization. Our volunteers are community-minded people who believe in the mission and philosophy of hospice and have a desire to serve. Come join us! "CHP went above and beyond for our family. I would recommend them to anyone needing their services."